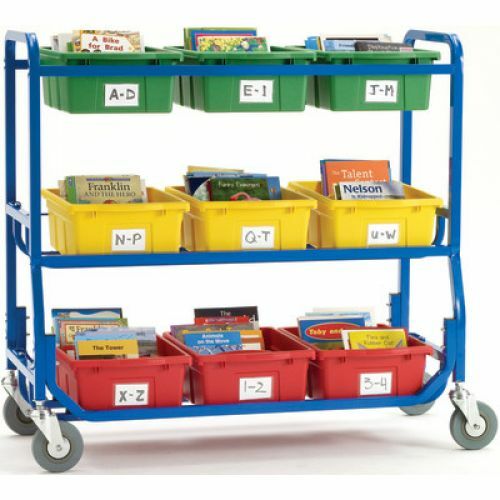 Made of 1" steel tubing, this sturdy frame is ideal for storing and transporting books. 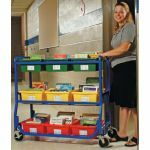 Features 9 Large Divided Book Tubs (15"L x 12"W x 6"D), adhesive label holders for tubs, and four 5" heavy-duty casters, 2 locking. Ten-year frame warranty and Lifetime tub warranty. 43"W x 18"D x 40"H. Additional shipping charges apply.